Declaration of Istanbul 2008 dealing with human organ transplants. Declaration of Istanbul 2008 dealing with appreached to organ transplants. Society of Nephrology (ISN) in Dubai in December 2007.
and finalized in plenary deliberations. of standards and prohibitions on unethical practices. meeting was organized are given in the Appendix. of the global shortage of organs for transplantation. means that both the recipient and the donor have done well. celebration of the gift of health by one individual to another. The Author . Published by Oxford University Press on behalf of ERA-EDTA. All rights reserved. bought or sold or used for material gain. services for its own population. organ failure for medically suitable recipients. transplantation, consistent with international standards. organ donation and transplant system. care to promote the health of both donors and recipients. and well-being of donors and recipients. within the country or through regional cooperation. and sale of human organs for transplantation. transplant tourism and transplant commercialism. donation and transplantation should be maximized. mental health professionals during screening. transparency and accountability of support for donation. consequences related to organ donation. living or deceased organ transplantation. costs of treating the recipient. the recipient to the donor. regions of the globe with transplantation programmes. be invited to the Summit meeting. selection or the Istanbul Summit. before and during the Summit. well as comments from each of the work group participants. was reached on each point. the plenary sessions that took place on 1 and 2 May 2008.
concerns and to record the Declaration in its finished form. statement of the Amsterdam forum on the care of the live kidney donor. Vancouver forum on the live lung, liver, pancreas, and intestine donor. Blood on Silk: Trade is a multi-screen video work. Each of the three projections will show a different iteration of a set of actions performed by roughly the same group of participants at approximately the same time on three different days. 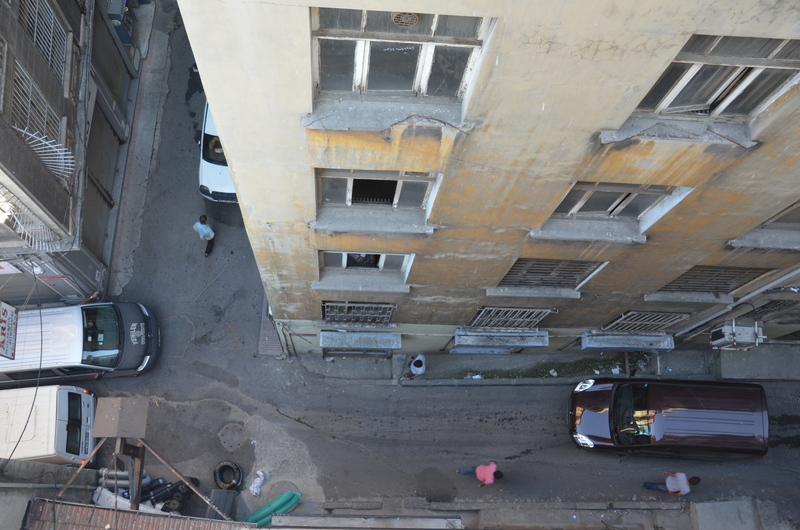 The work was shot in the hardware retail district of Beyoglu inIstanbul. The work is meditative, almost abstracted, shot from a single position down six floors to the street below where three hardware shops are opening up for the morning’s trade. The choreography of the street is revealed as each shop prepares their public face to trade. That given moment of the day is entered into, observed and felt. Co-incidences of repeated actions are observed and noted. This work is part of a larger project with the overall title of Blood on Silk. It is a cross-disciplinary collaborative project of ideas between a physicist, Dr Peter Domachuk, School of Physics University of Sydney a writer, cultural theory and museum studies expert Dr Lee- Ann Hall, UTS and myself, a visual artist. Its foundation is a research project being undertaken by Peter to develop an implantable silk microchip. This would provide a platform within the human bloodstream allowing the properties of blood cells to be determined or measured while those cells are still within the body – a biophotonic chip. During the years following the death of my father in 2001 I have worked with ideas of medicalised death and particularly the almost domesticated rituals in an intensive care ward involved in taking daily samples of blood. On this foundation we are developing a conceptual framework of debate expressed through writing and visual art projects. This framework is broad ranging and scans from the material, culture and economics of silk and of blood through to issues of surveillance and associated concerns about human rights. Istanbulis one of the many sites in the world where routes of trade intersect. Of interest here is that the historic silk route intersects with one of the new globalised routes for the trade in bio-products including blood and medical tourism. 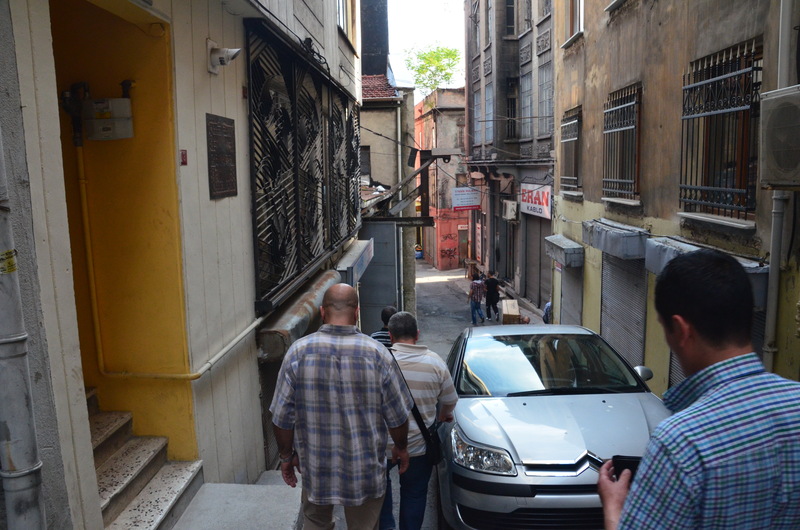 Also traded throughIstanbulare both legal and illegally obtained body parts and the associated blood products. In this work the instant of trade is an instance of vulnerability, of surveillance, of a pairing of the seemingly unrelated. The three projections and the associated sound tracks of ambient noise would be located to allow incomplete viewing of all three videos from any one site and would encourage the viewer to move within the work to reveal other actions and other sounds.